Hello everyone, Joni here with another installment of the Wplus9 Get Sketchy Challenge. Sketch #4 will run from November 10th thru November 29th and we will announce the winner on November 30, 2015. Use the sketch at the top of this post along with at least one Wplus9 product (more is always welcome!) and upload your project to your blog or online photo gallery such as Flickr. Then link it up using the InLinkz widget below by November 29th to participate and keep the inspiration flowing! If you'd like us to repost and share your creations on Instagram, be sure to use the hashtag #wplus9GetSketchy! If you're looking for a little inspiration to get you started, scroll down to see my take on this sketch. 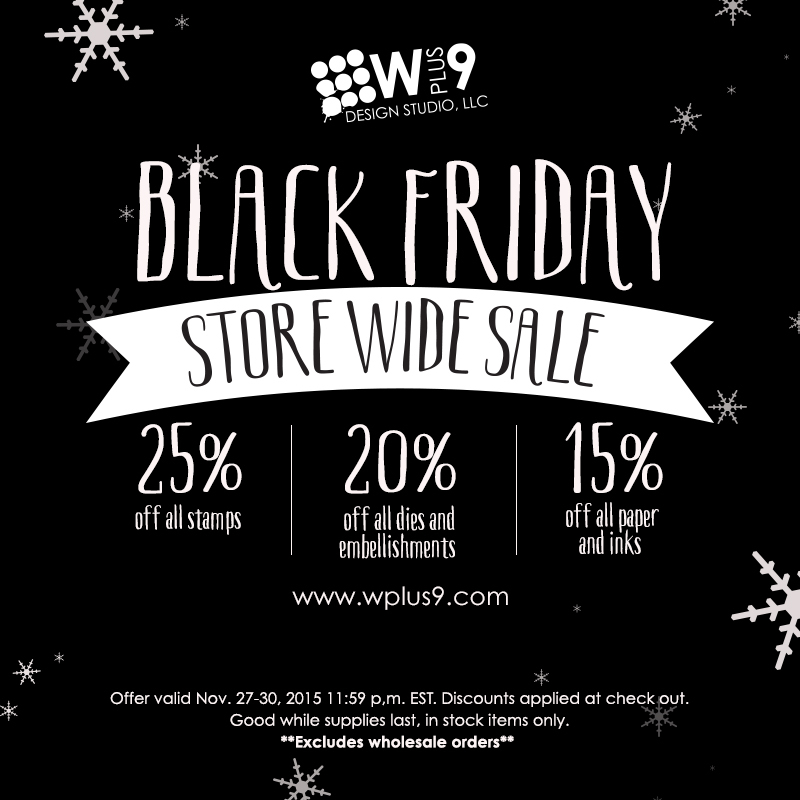 We will select one random participant to receive a $20 store credit to wplus9.com. The winner will be posted here on the blog on November 30, 2015. 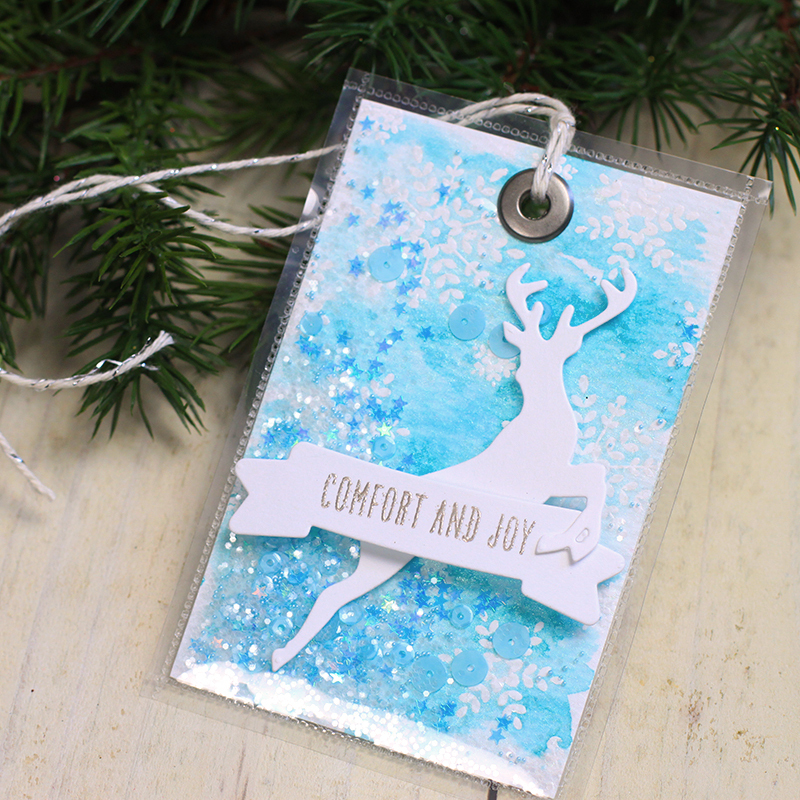 For this sketch, I used the new Holiday Cheer stamp set and the Holiday Cheer Companion Die along with the previously released Snowflake Trio and Landscape Borders dies. To begin, I first distressed the A2 white card panel using Distress ink in Tumbled Glass. I smooshed the ink on a heat mat and added a little water so that I could splatter some ink onto the distressed panel using a paint brush. Once the ink on the panel dried, I die-cut the distressed panel using one of the Landscape Border dies and adhered that to the card front using foam tape. 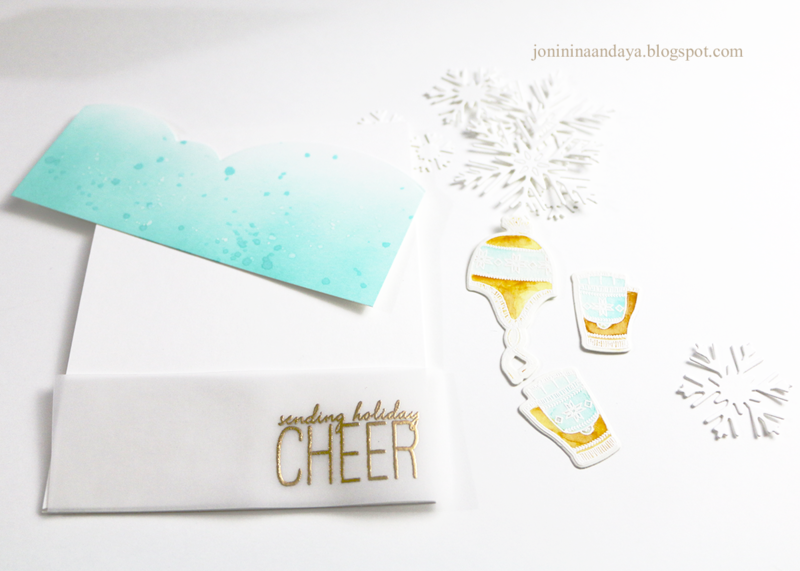 I then die cut the snowflakes using the Snowflake Trio die and adhered them to the card as well. 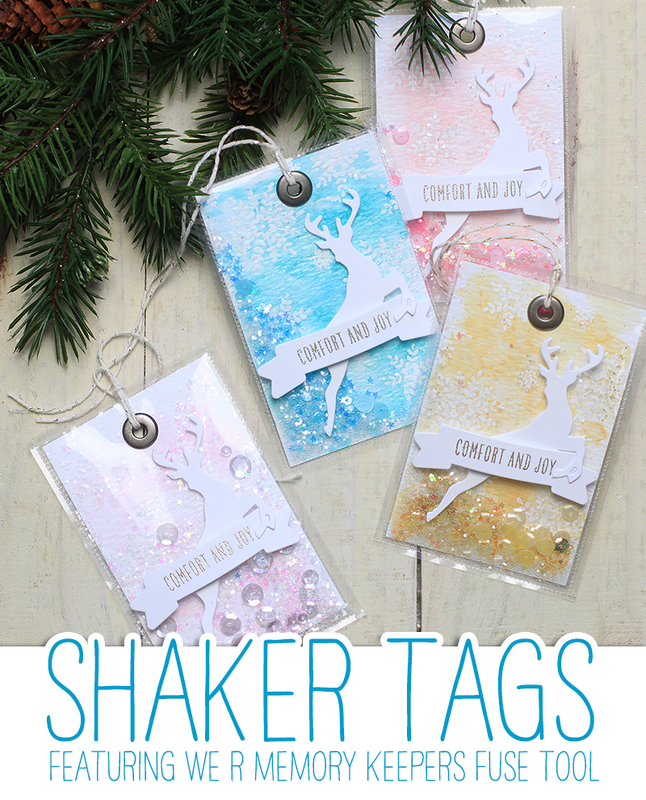 I heat embossed some of the images from Holiday Cheer onto watercolor paper in white and then watercolored the images using Zig Clean Color Brushes in 067 and 042. Once the images dried I die-cut each image and adhered on the card with foam tape for dimension. 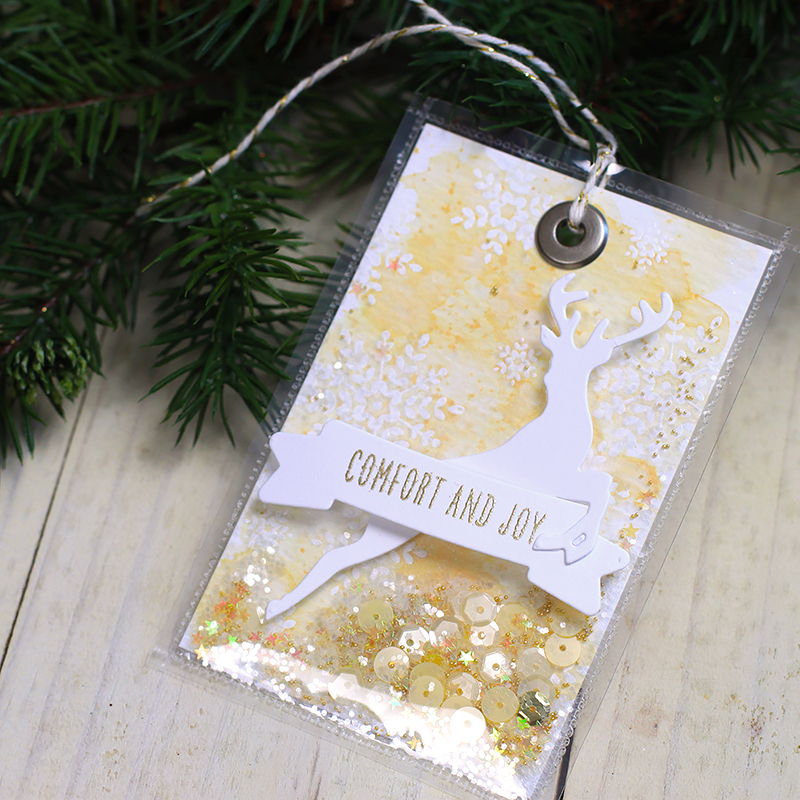 The sentiment, also from Holiday Cheer was heat embossed in Gold on vellum. 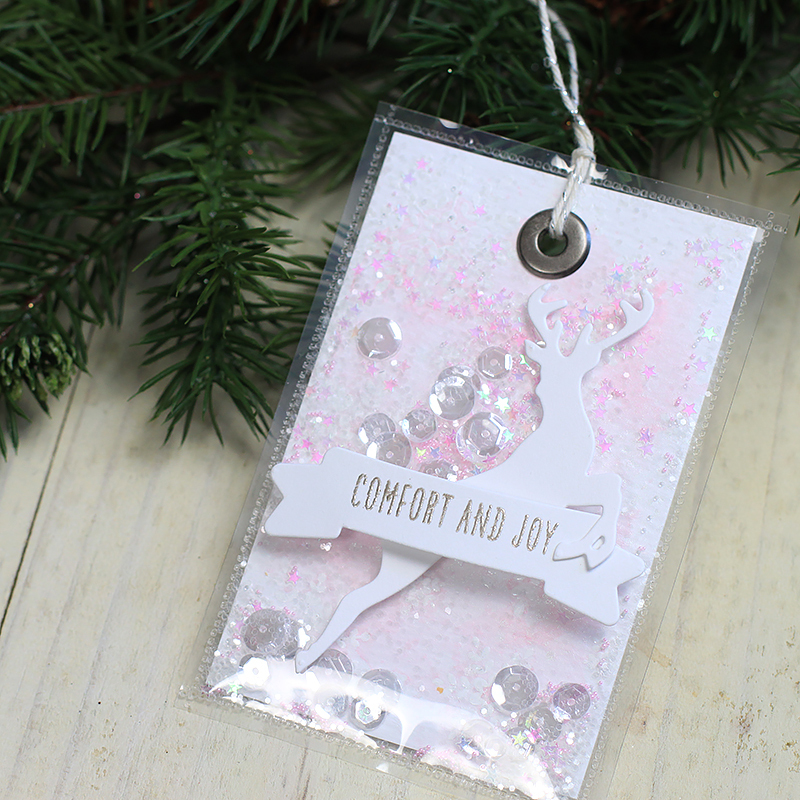 Finally, I added a few Pretty Pink Posh Sparkling Clear sequins to finish off the card. I hope you enjoyed! Thanks so much for stopping by today!